SEO-focused content marketing with proven results. What would 100,000 visitors per month do for your business? Each month, content written by Growth Machine is read by over 1,500,000 people in a range of industries including ridesharing, health, wellness, marketing, productivity, sales, travel, and much more. 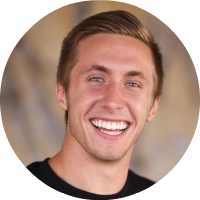 When Ridester hired us, they were already getting 48,000+ organic visitors per week. And after a year, we grew that number to 282,000 organic visitors per week. Spire asked us to fix up a number of their blog articles that were starting to do well. In 3 months, those improvements grew their monthly organic visitors over 170%, from 9,792 to 26,655. We started the Cup & Leaf blog from scratch, and within 6 months, grew it to over 150,000 monthly visitors from Google. We've worked with Four Sigmatic to grow their blog through new and revamped content, helping to more than double their organic traffic. 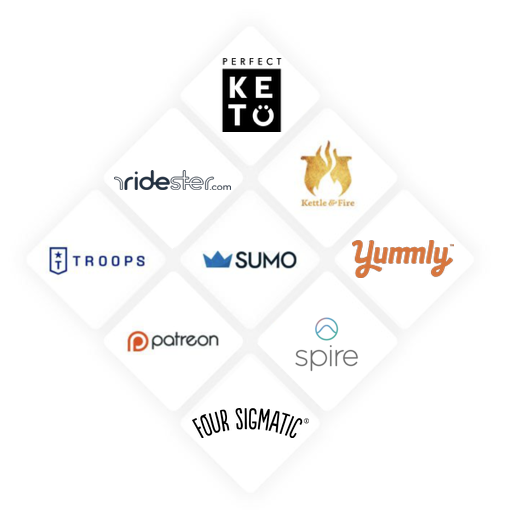 We've helped Kettle & Fire grow their site to 180,000+ monthly organic visitors and reach the first page for terms like "bone broth," "keto flu," and "easy to digest foods." From working with dozens of blogs, we’ve nailed the formula to grow your blog to 100,000+ monthly visitors within a year, or more than double your existing traffic. Leverage the expertise of our 1,000+ writers. We match you with the best content expert for your niche, so you get articles and traffic that converts. Every article we publish goes through a rigorous SEO audit so every piece of content does its job - bringing in the right customers to your site. To get the most out of your content, we promote each article across every major platform relevant to your business while helping build targeted backlinks to it. "Growth Machine worked with us for a few months initially to revamp 15 of our articles. By the end of that third month, traffic to those articles had more than doubled, and we were on the first page for 11 of them. I'd highly recommend Nat and his team if you have a site you think should be getting more search traffic!" Don't have a content strategy yet? We'll run your blog and SEO machine for you. Already getting decent search traffic to your blog? We can double it. Get more traffic to your existing pages with our white-hat backlink building. Need someone to make sure your site is squeaky clean in Google's eyes? We gotcha'.